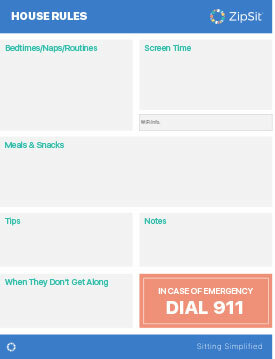 It’s very helpful to have a list of “rules” and helpful information for your sitter handy – even though you may verbally communicate a lot of this, it is sometimes tough for them to retain everything you say. 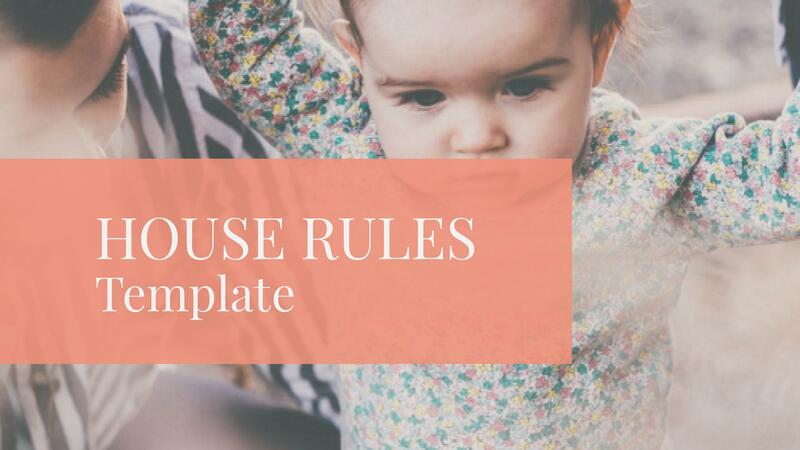 Print our House Rules Template (click here) and fill in the blanks. Make a few copies, they are handy to have in different places. It is suggested that you complete a new form every few months so all information is kept accurate.